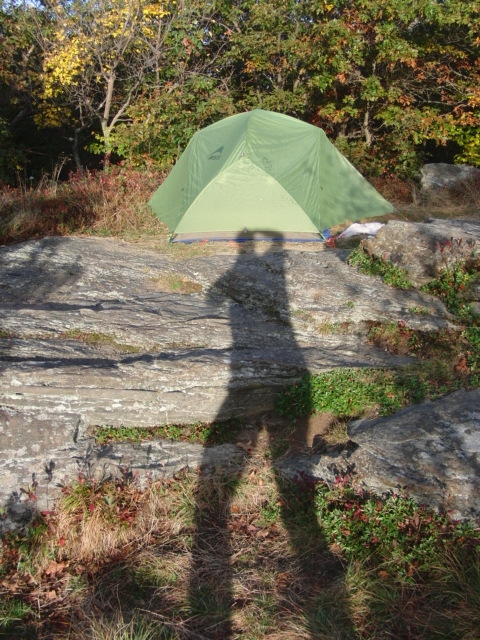 I won’t deny the chilliness of sleeping on top of an Ulster County mountain at the end of September. But I was comfortable enough in my mummy bag within my tent. If I had slept in any clothing that was slightly damp, or if I didn’t use the air mattress that insulated me from the ground, I would have been cold. Since I had gone to sleep when it was overcast, my view of the evening stars was disappointing. Around 2 AM, I woke and discovered that the clouds had cleared to reveal a sky with stars I was curious to identify. Standing just outside of my tent and facing East, I directed my stargazing smartphone app toward the 3 stars of Orion’s Belt. It was fun to discover that Jupiter was present in the sky close to that constellation. 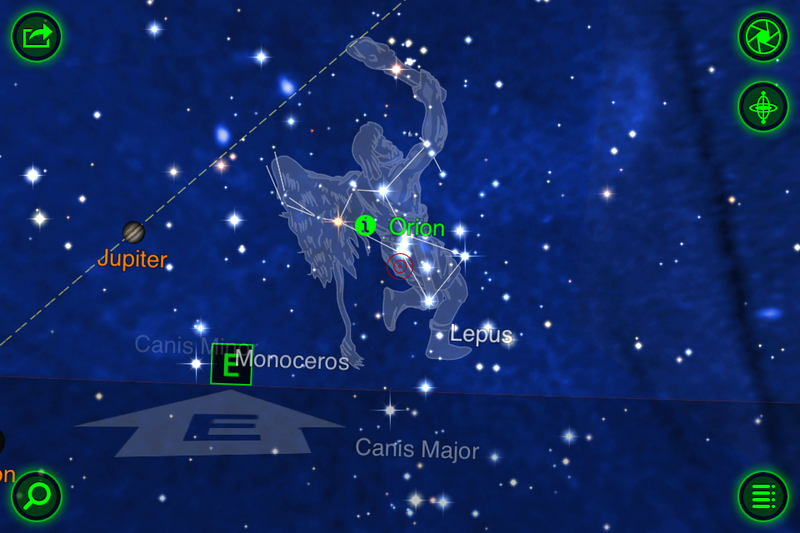 I went back to bed soon after capturing a screen-shot of what I viewed in the starry sky. 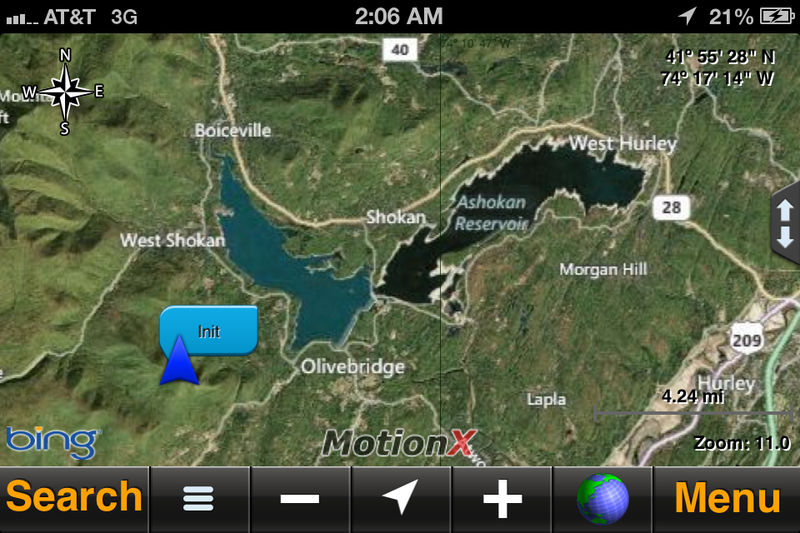 I wondered how much the missing blanket of clouds would allow my campsite to cool before sunrise. Thankfully, I was able to stay warm until daylight. In fact, I was cozy enough to consider dozing for a while and giving the sun some time to dry off the dew on the outside of my tent. But I heard occasional buzzing from outside…and then, a light tapping of flying insects as they bumped my tent. The wasps were waking up. I had read about wasps being a problem on Ashokan High Point during some times of the year. 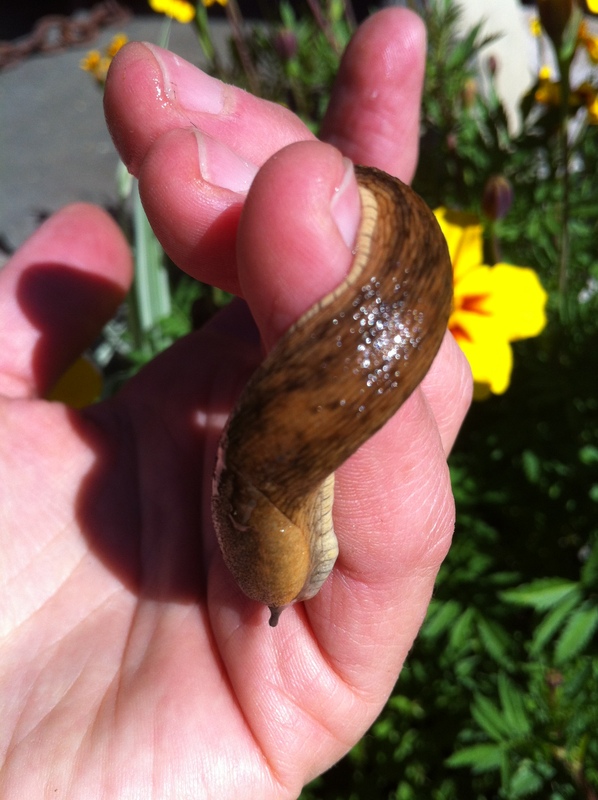 But I hadn’t encountered any on my way up the mountain. Regardless, I was encountering them now. And I realized that I’d rather be around slower moving chilly wasps than more active wasps; warmed by the sun I had planned to let dry my tent. With that conclusion, I became very much awake. I quickly dressed and packed my gear, using my zippered tent as my shield from the wasps. Once on the other side of that barrier, I was able to bundle and buckle my shelter to the outside of my pack without getting stung. I checked my site for items potentially forgotten in my haste. Then, I left my flying camp-mates behind. Soon ahead, the trail took me through the fields of the Ashokan High Point peak. The last and largest field contained a semicircle of slate high-backed chairs near a fire ring. I imagined my friends and I setting up camp by this fire ring and roasting hot dogs from the stone chairs. Maybe we would eat our dinner as the sun set, planning our morning hunt for the remains of the downed plane I’ve heard can still be found on the mountain. I didn’t look for the remains of the plane. Instead, I decided to leave that adventure for next time and just continue in the same direction I had been going on the trail. This way of return added an extra hour compared to retracing my steps. Although the trail wasn’t as steep, navigation was slower than I anticipated due to the continuous rocky nature of the path. The loop took me back around the other side of the mountain where I joined the previous day’s trail above the beginning of the Kanape Brook. During my next hour of hiking, I passed the first human I had seen since yesterday. He carried a pack basket with camping gear for the night, but said he planned to leave the trail for some bushwhacking back to his home. As I continued down to my car, I wondered what it would be like to carry 35+ pounds of gear on my back in one of those baskets. I wondered why I saw so many white asters and none that were purple. I remembered that a friend of mine remarked on how goldenrod flower tastes peppery. What other trail-side plants could I nibble on? Would I see a bear? How would I have felt if I came across the old remains of the plane wreck by surprise. I’ve been haunted by a mountain. I can see it on the way to town. I can see it when I walk at the reservoir. And when the leaves are off the trees, I can see it from my back yard. 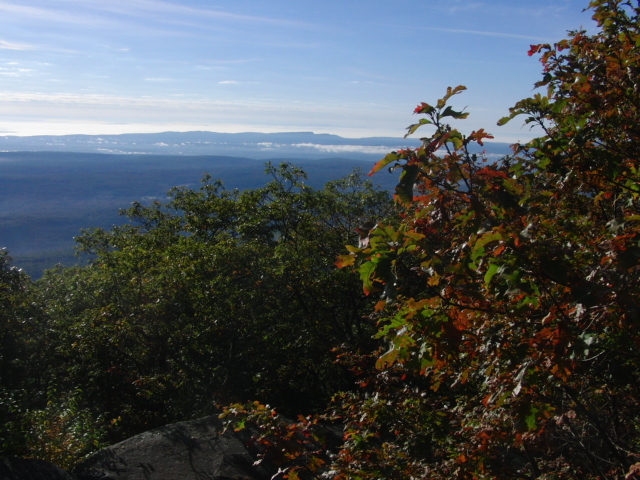 I learned its name is Ashokan High Point, and I had been meaning to hike to its summit for years. I finally did it! The last Sunday of September I gathered my camping gear and drove out to the Kanape Brook Parking Area. About 4 PM, after locking my car up for the night and hauling my 35 lb pack onto my shoulders, I crossed Rout 42 to find the trail head. I’d read the Catskill Mountaineers overview of this hike so I knew that I was looking for a bridge in the woods that spanned the Kanape Brook. The registration book on the other side of the brook briefed me on the travels of recent hikers. I added my name, address, and phone number to the list, and indicated that I’d be camping over at the top of Ashokan High Point. 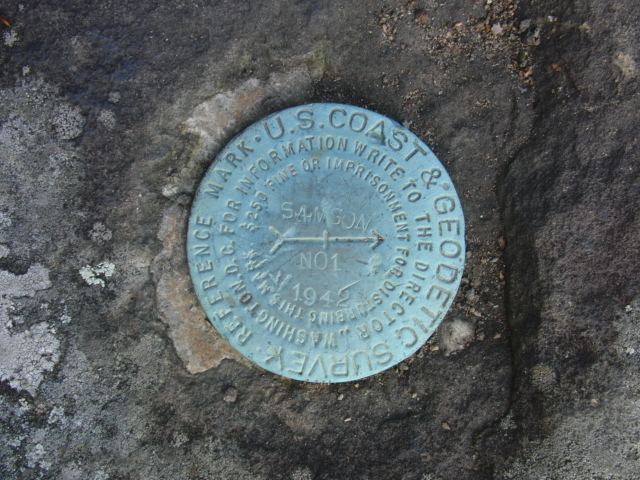 According to the registration book, the only other people who I might encounter were day hikers coming back down. Skimming through earlier entries, I noted endearing comments about the beauty of the Kanape Brook. As I hiked along the brook, I was also enchanted, stopping to take (many) pictures and to notice how the sound of its water changed from place to place. Around 6:45 PM, I reached the summit. Since it was dusk, I set up camp right away. My plan was to fall asleep as early as possible and start hiking again just after sunrise. Learn how online tutoring works. 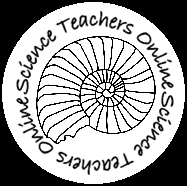 Science Teachers Online provides an online environment where students (middle school through college) learn from live state-certified teachers, college professors, & other educators highly trained in their field.